Dry January? Sober October? Or just because! 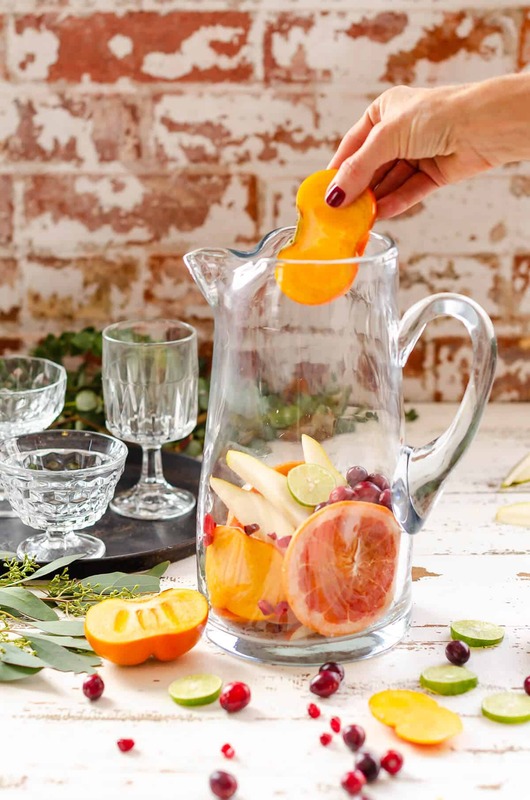 This Non-Alcoholic Sangria Mocktail is what to drink when you’re not drinking. Infused with delicious fruit and topped off with Kombucha, you’re actually doing something good for yourself! 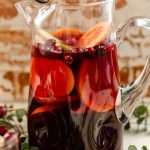 I created this delicious Sangria Mocktail while in Utah at a conference last fall. Personally, I don’t drink. But there’s so much more to having a cocktail thank consuming it. It’s about the experience of it: the taste, the atmosphere, the temperature, the way the glass feels in your hand. It’s all very festive. The issue I have with ordering ‘virgin drinks’ is they taste like over sugary fruit juice. A good mocktail has all the components of a cocktail with out the alcohol~ a good base, sour, sweet, and garnish. chill the mixture for 3-4 hours before serving. 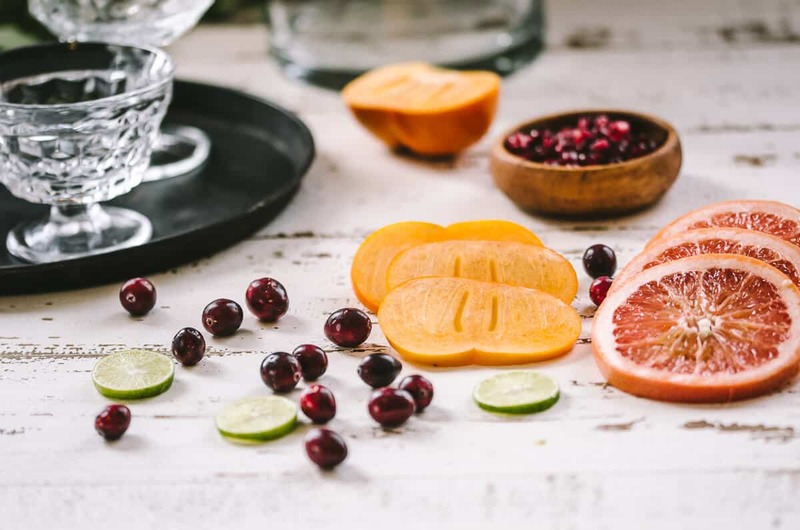 When you’re ready to enjoy it, you can garnish each glass with a few fresh cranberries or a wedge of grapefruit. Any fruit works with sangria. Try it with apples, oranges, lemon, strawberries, blueberries, pomegranate– the sky is the limit! Pick your favorites. You can use fruit juice instead of wine. Just know that the end result will be sweeter. In this recipe, I used pomegranate flavored kombucha. The kombucha here is acting as the sour or tart flavor. Most kombucha isn’t sweet, so pick a flavor you like, or just use plain. 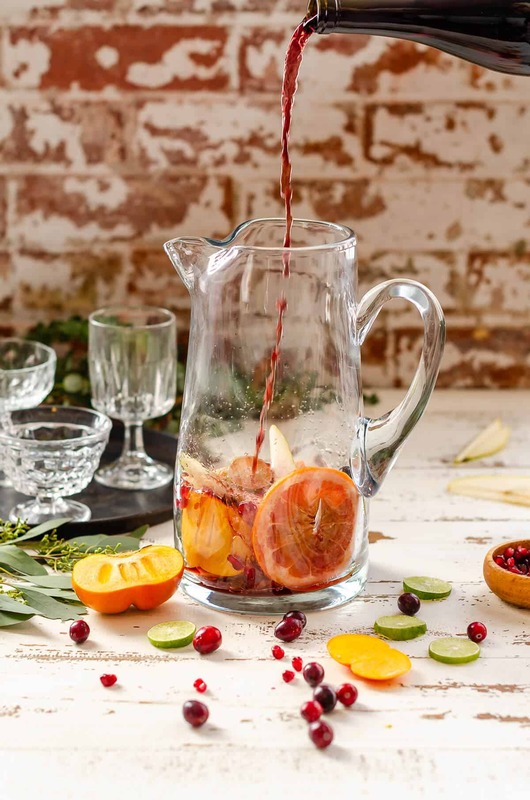 If you like a sparkling Sangria, leave the kombucha out of the pitcher, and instead add a splash or two to each glass. This will keep it nice and fizzy. You can use ginger ale, ginger beer, or citrus clear soda, in place of the kombucha. It will be a sweeter result (and not a healthy mocktail). 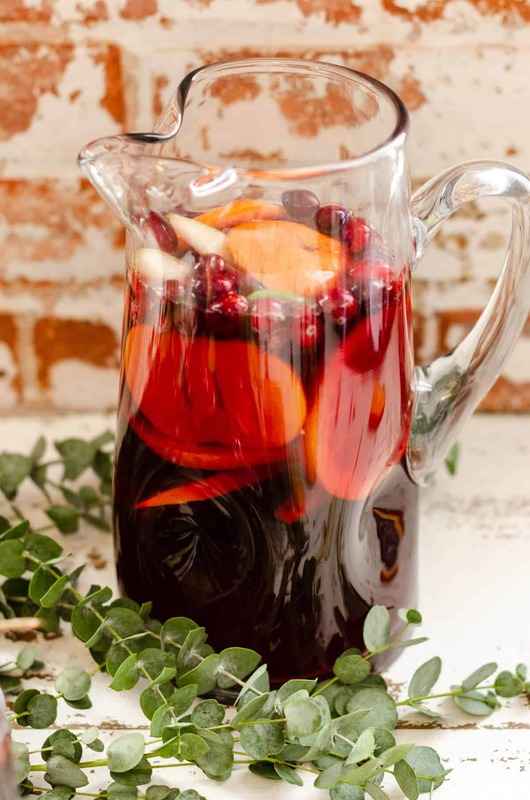 A non-alcoholic sangria that tastes like the real thing. Loaded with fruit, non alcoholic wine and Kombucha. 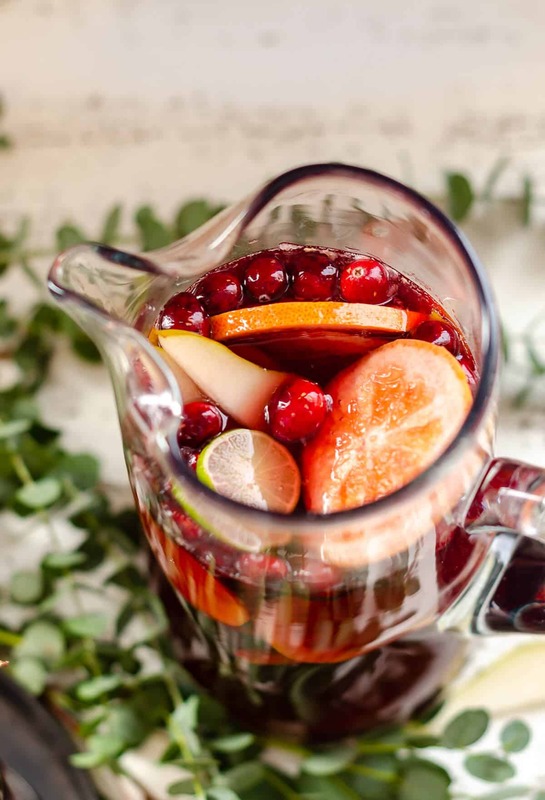 Add sliced fruit and cranberries to a large pitcher. 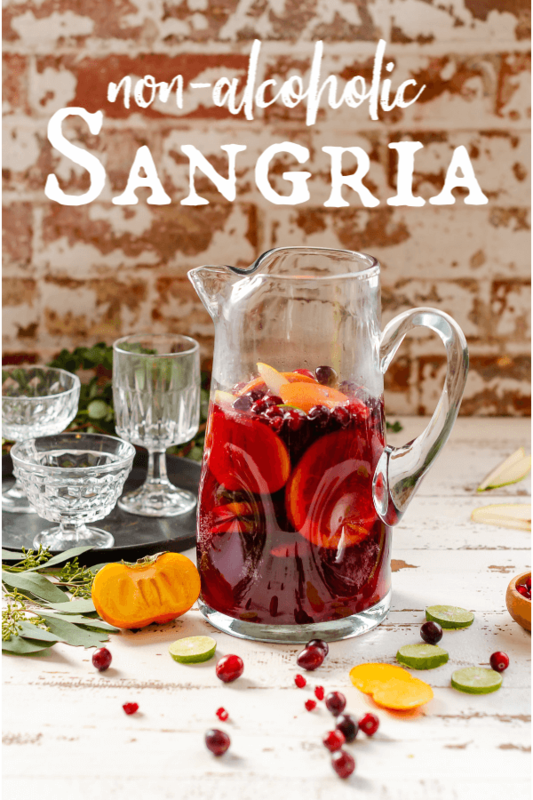 Any fruit works with sangria. Try it with apples, oranges, lemon, strawberries, blueberries, pomegranate-- the sky is the limit! Pick your favorites. In this recipe, I used pomegranate flavored kombucha. The kombucha here is acting as the sour or tart flavor. Most kombucha isn't sweet, so pick a flavor you like, or just use plain. ***nutrition info on this recipe is not 100% accurate because it couldn't calculate non-alcoholic wine or kombucha. Non-alcoholic wine has less than half the calories of regular wine. So you can subtract about 70 calories per serving.